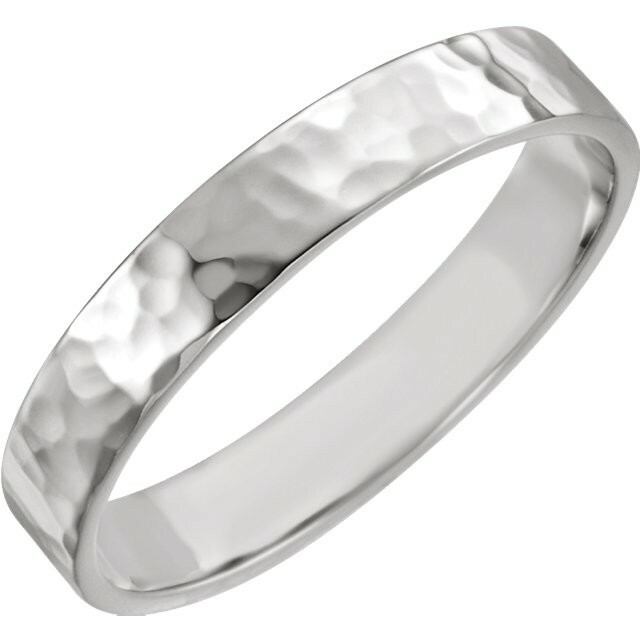 14kt flat band with a hammered finish. 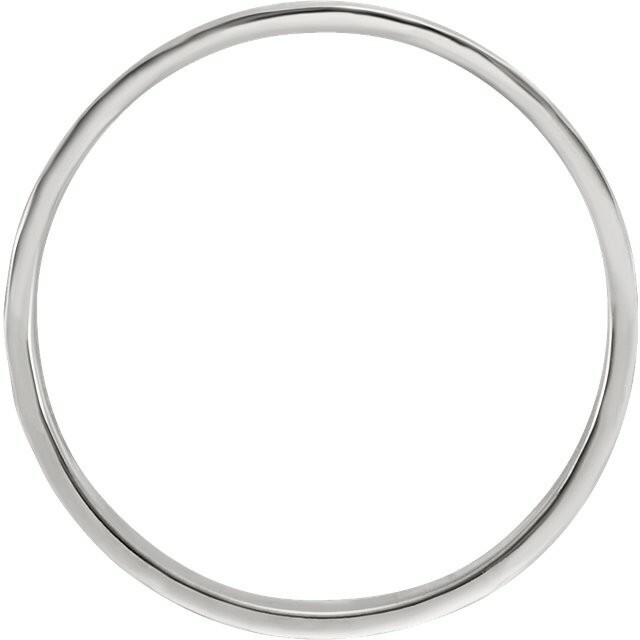 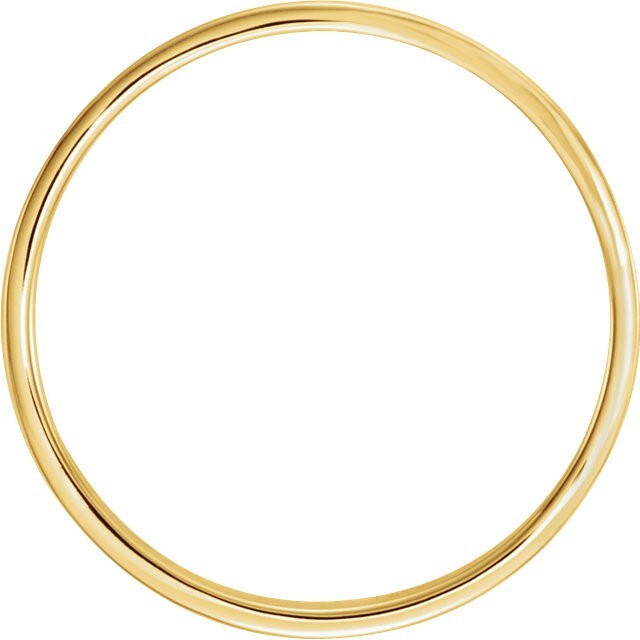 The ring is 4mm wide, This is an excellent choice if you don't like the extra weight or thickness of a comfort fit band. 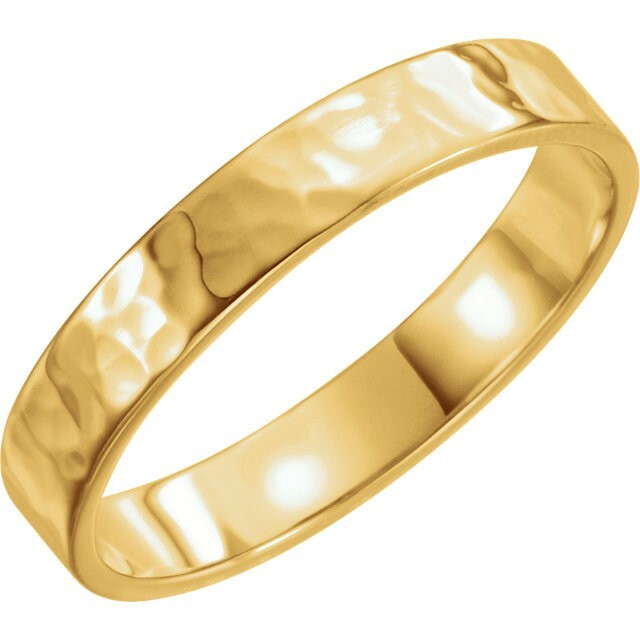 We will manufacture and ship this ring to your exact finger size, please allow us 4-5 business days to complete and ship the ring to your specifications.